As you may remember, I get very strong cravings for Indian food lately and to say that these have yet to be satisfied would be an understatement – I was so disappointed with one meal that I refused to pay for all of it. But I’d spied an Indian friend on Facebook dining at a place called Priya, and I thought maybe my luck was finally in. On a particularly rainy, stormy and miserable day, my accomplices and I dripped and shivered our way over to Hiroo and our noses were immediately greeted by warm, spicy and enticing scents. 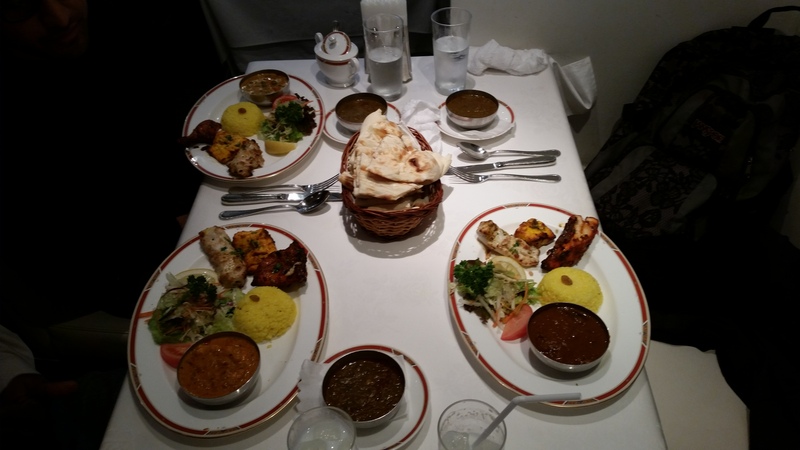 Priya have an extensive range of lunch sets, ranging from 1000 yen to 2650 yen in price, all of which come with dessert and drink (coffee, Masala tea or lassi) and unlimited – yes, unlimited – rice and naan. Tandoori chicken – moist. Dear Moti, take note! Greed overwhelmed us an we took the lovely and large Chef’s Special Lunch for 2000 yen – tandoori chicken, fish tikka, chicken tikka and any one curry from the regular lunch with naan and saffron rice. I chose the lamb curry (yes, that’s as much description as it had), and whilst it wasn’t hot, it was spicy in that it was rich in flavour. It wasn’t revolutionary, but I’d more than happily eat it again. The real stand-out dish, however, was the chicken tikka – my dining companion, who spent three years living in Delhi, said that he was transported back to India in an instant. 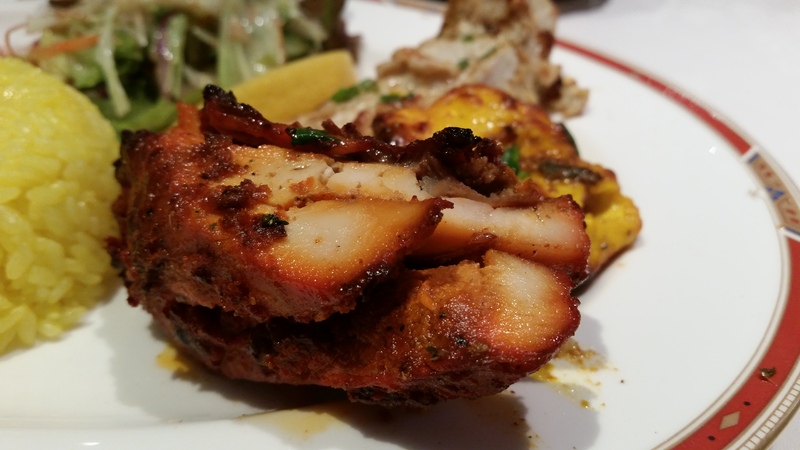 The tandoori chicken was also succulent – how it should be (I shall never forget Moti‘s version). The only disappointment was the dal, which was a bit lacking in oomph. Warning: if you go with dining companions who don’t like naan that much, you may consume the entire basket by yourself without noticing. 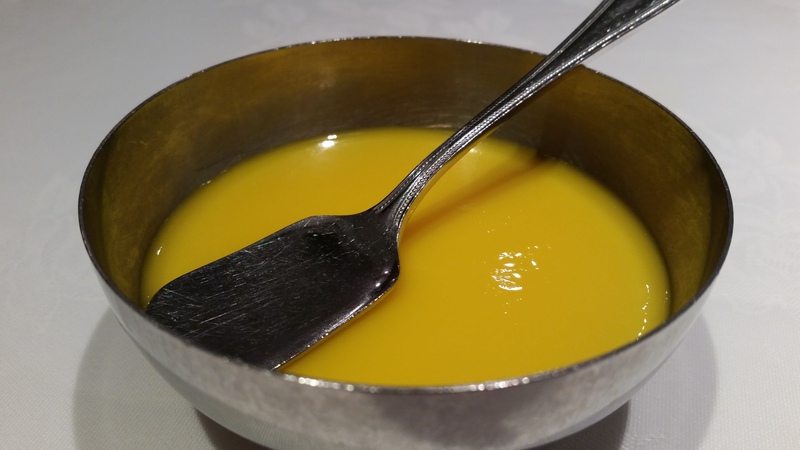 Then you’ll be faced with a mango pudding and be unable to leave the restaurant without waddling. 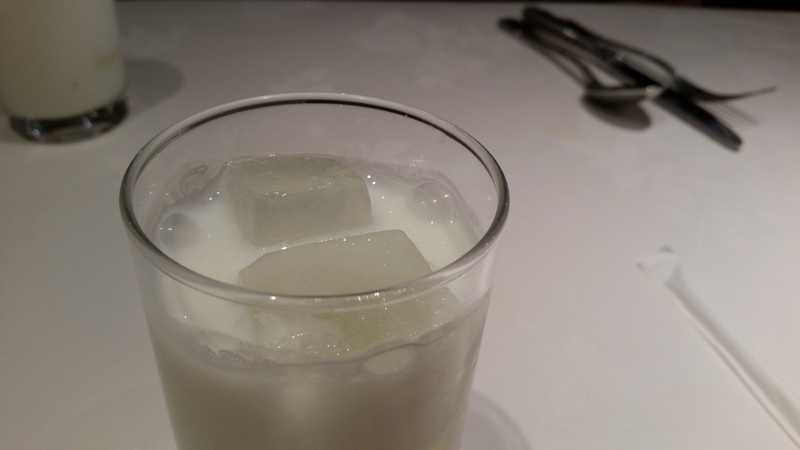 Food 4/5 – Yum! Let’s be honest – it’s not quite India, but it’s very tasty – the dull dal excepted. Value 3.5/5 – It’s definitely not the cheapest place in town, but very good quality/quantity ratio. Atmosphere 3.5/5 – Busy with great spicy curry smells! Service 2.5/5 – We didn’t exactly feel welcome – definitely added a slightly unwanted flavour to what was an otherwise delicious visit. 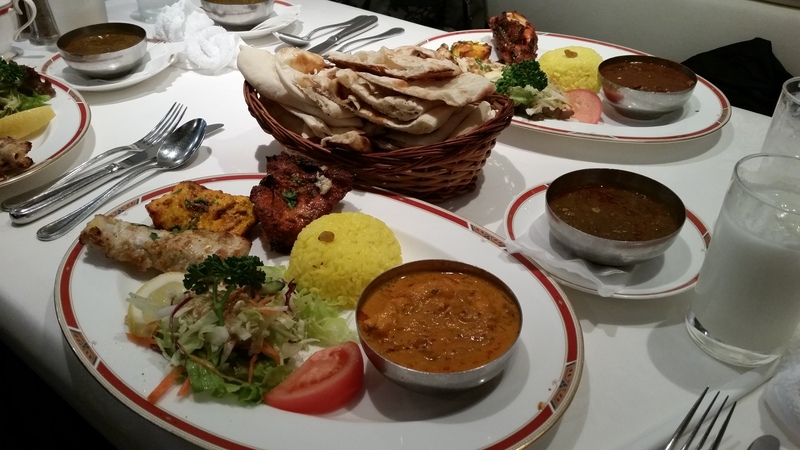 Priya 3.5/5 – Visit for flavoursome Indian food that is both good quality and good value. Thank you so much for your kind words regarding our food. 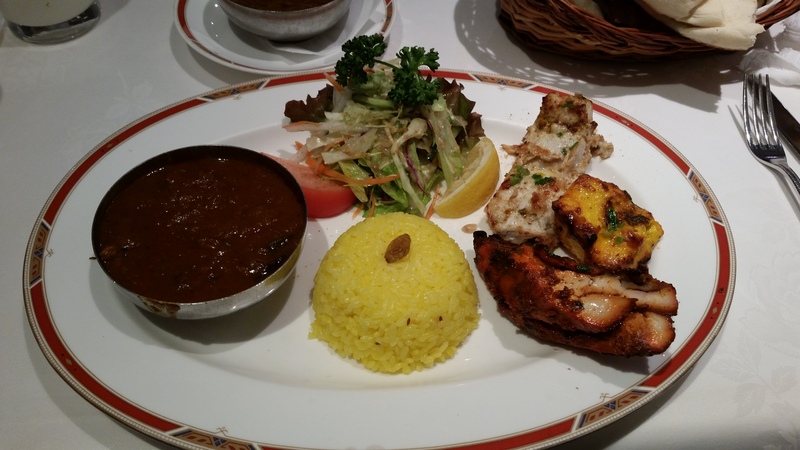 We pride ourselves in being able to provided the best quality Indian food in the Tokyo area. We understand that our daal is quite subpar, and are working on making it better. I am extremely sorry you had an unpleasant experience with our service. We will keep all of your points in mind and hopefully you will not be disappointed the next time you visit our restaurant. Please stop by again sometime soon! Thanks for getting in touch. I appreciate you putting the effort into responding – it’s nice to know that restaurants take feedback seriously. Overall, we really enjoyed our meal at Priya so I’ll be sure to stop by again some time soon – I haven’t had my fix of Indian food in quite a while. I’ll be sure to try your daal again too!